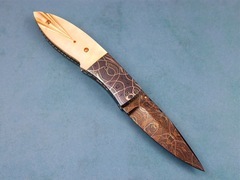 A very elegant Gents Folder by Vernie reed. 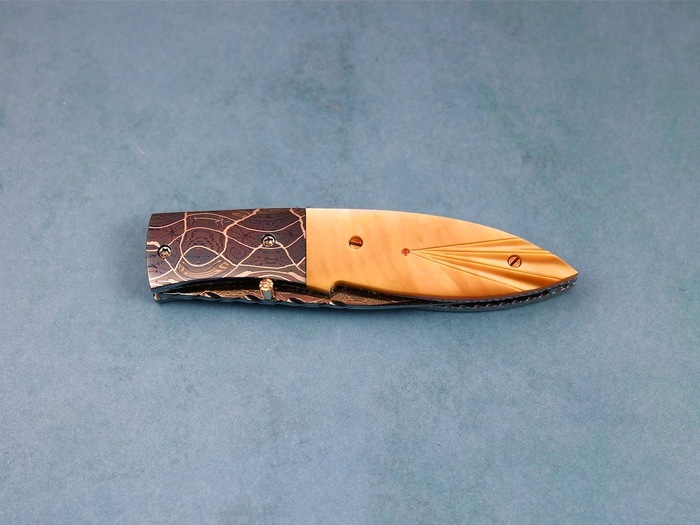 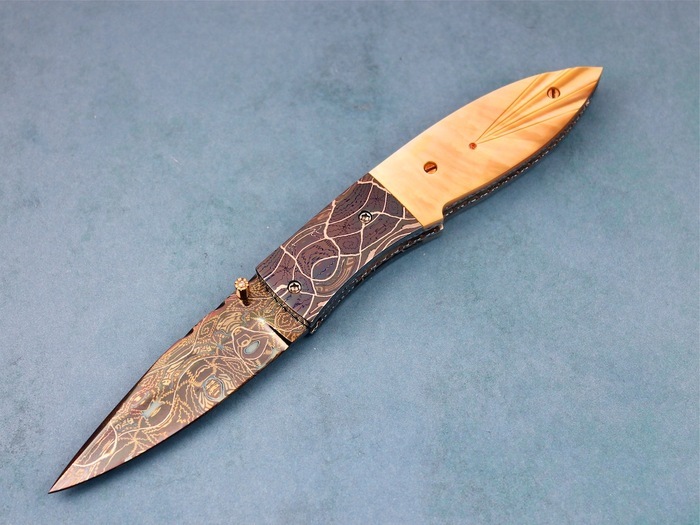 This knife has beautiul Mosaic Damascus Steel and amazing Gold Lip Pearl as a handle. 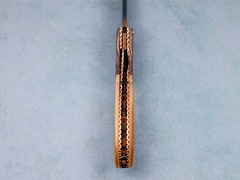 The handle has been fluted to meet at a ruby in the center of the handle. 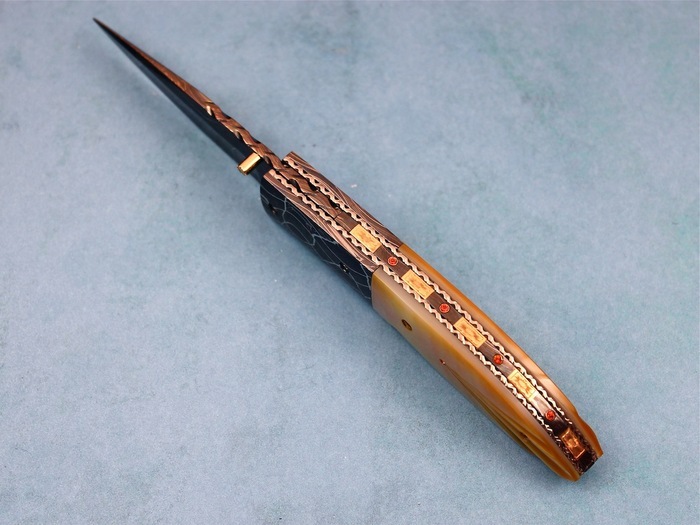 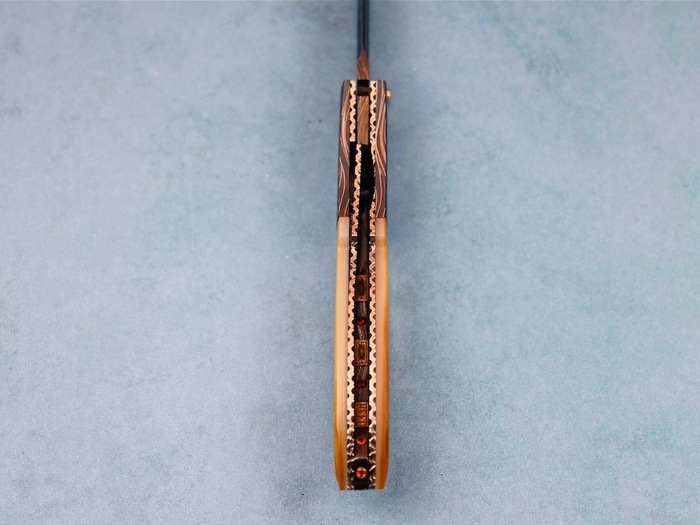 The knife has engraved Gold inlays and rubies on the spine. A great piece by Vernie.